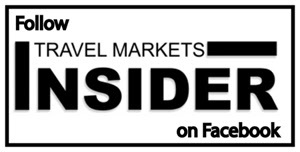 TMI starts with two important stories from Airports Council International today. ACI World reports that first quarter passenger air traffic remains strong, with good results in the Americas. North America turned in growth of 4.8%, well above its mature market status, says ACI. Latin America-Caribbean, after a lackluster 2017, showed more than 5% increases in the first quarter. (Ed. note: As we go to press, booking tracking agency ForwardKeys reports that Argentina‘s outbound travel bookings collapsed after the Peso crashed in May and President Macri asked the IMF for a bailout. Bookings for travel from Argentina to other Latin American countries –which have the largest share of Argentina’s outbound travel, at 43%– slumped year-on-year by 26.1%.) Full global results begin on Page 1. ACI-North America, meanwhile, celebrated the best airport concessionaires in Canada and the US at its annual awards dinner on June 14, honoring Dallas Forth-Worth International Airport with its top prize. See full details and other winners on page 2. Hudson Group is opening the world’s largest Hudson store – featuring the retailer’s new concept – at Hartsfield-Jackson Atlanta International, the world’s busiest airport. Hudson also announces a contract extension at Baltimore-Washington. Page 3. Estée Lauder Travel Retail unveils a mega multi-brand pop-up in Qatar and debuts the new Tom Ford Beauty concept at London Heathrow. Page 3. Maui Jim is offering travelers passing through Terminal 5 at Chicago O’Hare the opportunity to see the world in glorious color and clarity through a special pop-up in the Dufry area in international departures. Read how MJ makes the visual “pop” on page 5. Tourism chief Frank Comito, CEO and Director General of the Caribbean Hotel and Tourism Association, recently gave a very upbeat assessment of the region’s future, citing investment and increased airlift. Page 6. Mexican tourism officials from the resorts area of Quintana Roo have created a unified tourism board to promote the destinations of Cancun, Cozumel, Riviera Maya, Playa del Carmen, and surrounding towns. Page 5. A group of Florida-based WiTRs got together and raised $1,800 for a school in India last month. See details on page 5. Greenhall’s Gin launches first flavored liqueurs Page 7. L’Oréal’s Edouard Mariotti joins LVMH Fragrances as Travel Retail Director for the Americas. Estée Lauder’s Richard Vera has been named VP Business Development at Scentbird. Kevin Baker announces he is stepping down from Marie Brizard Wine & Spirits.